HortLED is assisting MIT's OpenAg initiative in the design, implementation and production of LED fixtures for the new controlled environment agriculture facility at Bates Lab. The light panels are designed to integrate with standard horticulture rolling carts. Up to 3 light panels can be used per rack. Current, Powered by GE is supplying the LED modules for the lighting panels. There are three channels of control: 660nm, 450nm, 4000K. The black circle (pictured above) is a USB camera designed to record the grow. 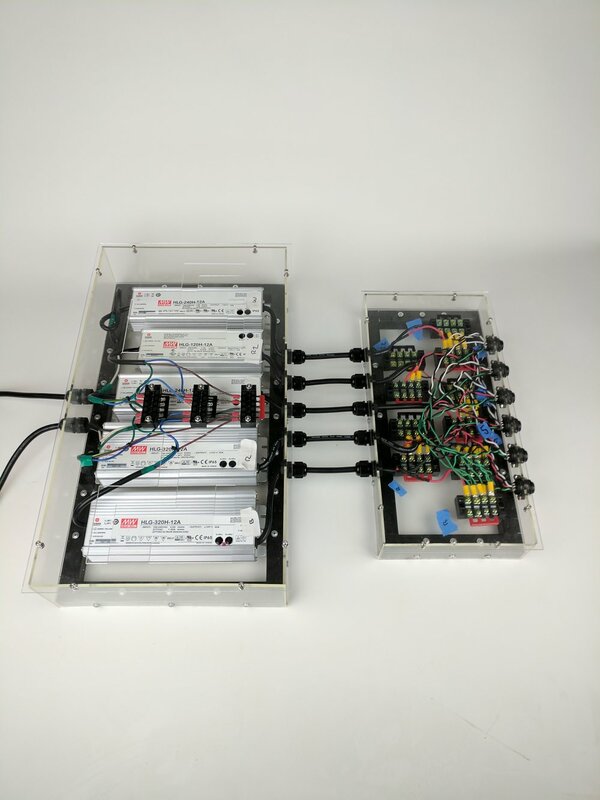 HortLED produced a custom power system designed to drive up to three light panels (one complete rack). Using Mean Well drivers, the power panel can be remotely mounted to help reduce total heat load. 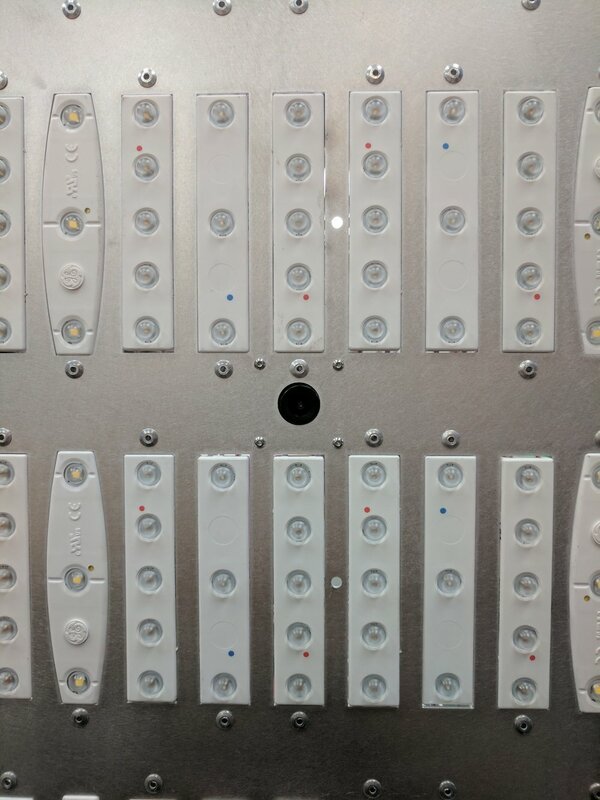 The spider box (pictured on the right) distributes the power to 6 - 3 channel connectors, resulting is spectral control for the red, blue and white LEDs across three panels.